In February, the story of Aston’s HydraForce, which celebrated 25 years in Birmingham last year was told on this site. This privately owned precision manufacturer designs and makes hydraulic equipment and assemblies – hydraulic cartridge valves, manifolds and electro-hydraulic controls for agricultural and construction industries across Europe and Asia. 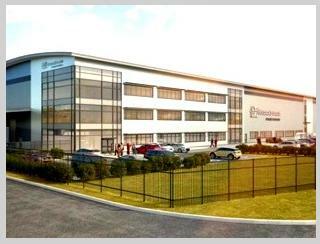 Business Desk reports that official opening of its new factory will take place next month. It has stayed close to its current St Stephens Street building in order to retain staff. 22 new value assembly and test cells have been installed and there is room to add a further 30 for new valve models. Hydraforce has a well-established apprenticeship programme and is working to establish a graduate placement scheme. It will be the first tenant of Birmingham’s Advanced Manufacturing Hub, one of six economic zones: advanced manufacturing; business & professional services; creative & digital media; life sciences; food & drink; IT, electronics & communications. The new building will serve as the European headquarters for HydraForce, which hopes to create more than 200 new jobs over the next five years and eventually employ around 500 people. This entry was posted on Monday, August 24th, 2015 at 6:19 am and is filed under Apprenticeships, Engineering, Exports, Manufacturing, Metal working. You can follow any responses to this entry through the RSS 2.0 feed. You can leave a response, or trackback from your own site.